The kitchen is a dangerous place for iPads and tablets. Liquids, spills, food, high counter-tops, hard surfaces – you name it! Our expensive electronic devices don’t stand a chance. Despite our fears, most of us go ahead and use our iPads in the kitchen anyway. Whether you are following a recipe you found online, Skyping with Grandma for a step-by-step tutorial, or catching up on your favourite show while you cook your family dinner, we can’t deny that there is a space for tablet technology in the kitchen. How can you enjoy your tablet in the kitchen worry-free? With an iPad kitchen stand. Rid yourself of tablet anxiety in the kitchen! You won’t have to worry about any nasty spills or about whether you will be able to prop your tablet up on your fruit bowl anymore. Let us introduce Tstand: an innovative tablet accessory that makes for a great iPad kitchen stand. What makes Tstand ideal for the kitchen? While you definitely shouldn’t throw your Tstand into the dishwasher, the gadget is made primarily out of plastic so it can easily resist the occasional spill. Since Tstand’s outer layer is made from solid ABS plastic, you won’t have to worry when things get sticky. Simply wipe it down with a damp cloth and Tstand will return to its glossy self. Warning: Do not use cleaning products on Tstand to avoid removing its paint or polishing. Once your iPad is inserted into the Tstand and placed on your kitchen counter or table at the right angle, your experience will be fully hands-free. We strongly recommend using an iPad stylus to interact with your iPad while cooking to avoid any smudges on the screen or damage to the device. Get the biggest bang for your buck. 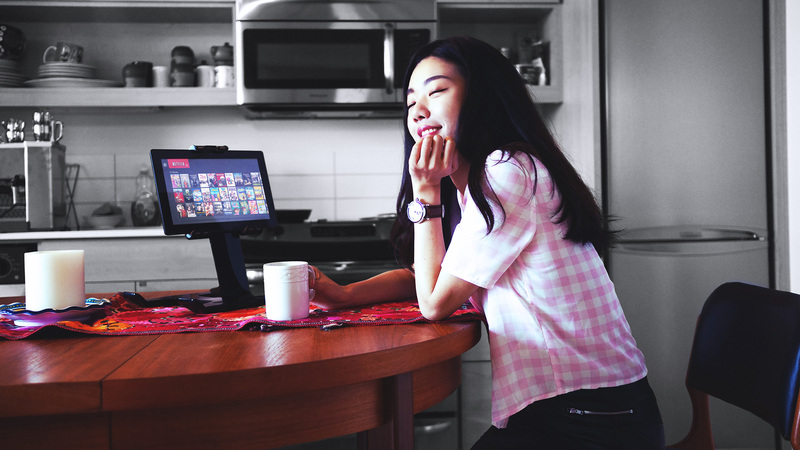 Tstand is a multi-functional iPad stand, so it can be used for many applications outside of the kitchen, such as watching movies in bed, reading eBooks at the park, doing work on a plane and more! 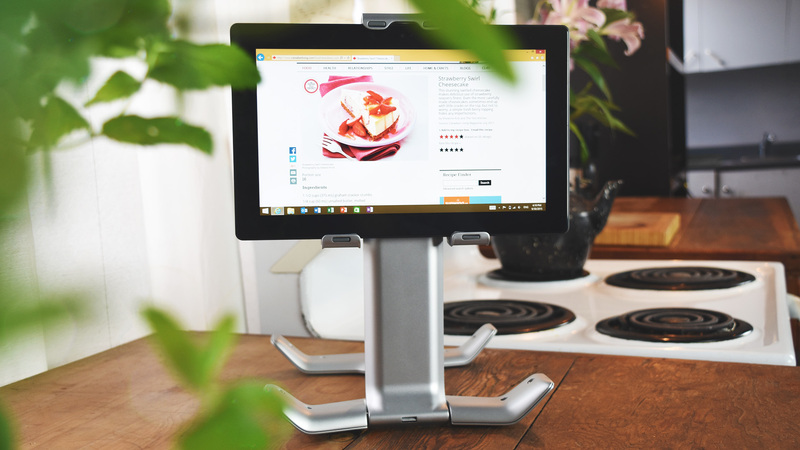 Unlike many iPad kitchen stands out there that require being mounted or clamped onto furniture, Tstand is a completely portable device so you won’t have to worry about choosing the best permanent location. This means you can seamlessly shift from following a recipe on the counter to reading the news at the kitchen table. How do you use Tstand in the kitchen? Simply insert your tablet into Tstand’s silicone grippers, rotate its base into desktop mode, adjust the angle of your iPad to suit your needs, and boom! You’ve got a new favorite cooking companion.